Season 4 of The Flash features 12 new meta-humans caused by Barry’s return from the Speed Force in the season premiere. By now we’ve met most of them, but a newly released episode title from later in the season might’ve just spoiled that The Flash is adapting a DC Comics villain with some truly awesome powers. “Null and Annoyed” is an obvious riff on the idiom “null and void.” In this case it’s probably an indication that the show will adapt Null, a meta-human that’s appeared in DC Comics. He’ll almost certainly be one of the last “bus metas” of the season. With slight gestures of his fingers, Null creates localized areas of gravitation, essentially manipulating the mass and therefore weight of anything in the affected area. He played a role in the Hawkman and Hawkworld comics on New Earth as a member of the Netherworlders. Null's powers allow him to manipulate gravity with a flick of the wrist. Null’s powerset fits in well with many other meta-humans we’ve seen on The Flash, especially those we’ve seen this season. Dwarfster, for example, can manipulate the space between the atomic bonds in objects, allowing him to shrink or embiggen them. Gravity manipulation powers aren’t that far off, especially when you remember that excessive dark matter exposure caused their mutations. The fact that “Null and Annoyed” loosely references “void” only reinforces this theory. Without getting too scientific, void represents the physics of nothingness and how that relates to space, matter, and mass. Null being one of the 12 bus metas makes a lot of sense, and being able to manipulate gravity is just totally badass. Dwarfstar was one of the scariest 'Flash' villains to date. The Flash episode titles usually riff on various idioms and titles while teasing that episode’s plot. Just this season, “Therefore I Am” focused on the major villain called The Thinker (any Descartes fans out there?). In “Honey, I Shrunk Team Flash,” Dwarfstar shrunk two members of Team Flash, which isn’t all that different from Honey, I Shrunk the Kids. If you’re skeptical that The Flash would be so obvious in its titling with “Null and Annoyed,” remember that Season 3’s “Abra Kadabra” featured the 64th-century criminal named … Abra Kadabra. Smith formerly directed “The Runaway Dinosaur” from Season 2, which while overly sentimental, remains one of the series’ all-time best hours. He was also behind “Killer Frost” from Season 3, a story crucial to the develop of Caitlin Snow’s alter-ego. So he has a history with some of The Flash’s biggest moments, and chances are high that his next venture on the show migth just reveal the last of 12 bus metas. 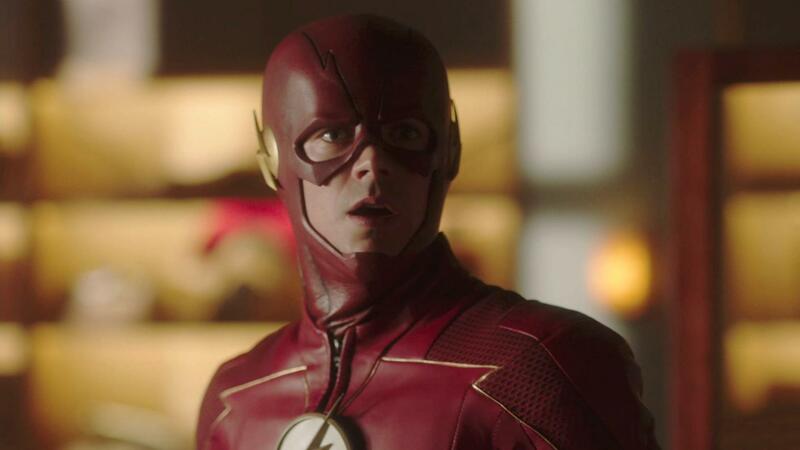 The Flash airs Tuesdays on The CW at 8 p.m. Eastern with the next episode due on February 27.